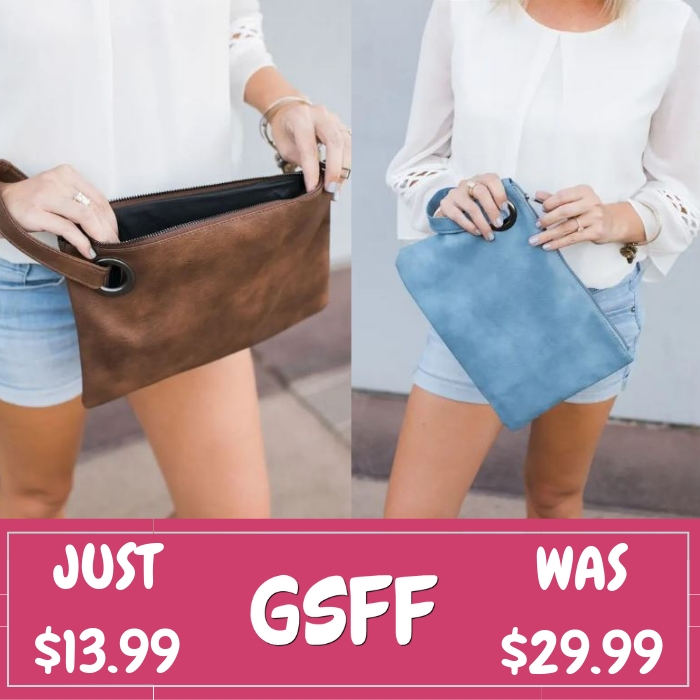 Versatile Clutches Just $13.99! Down From $30! Shipped! You are here: Home / Great Deals / Versatile Clutches Just $13.99! Down From $30! Shipped! This deal expires on February 13! At Jane, you can get these Versatile Clutches for just $13.99 down from $29.99 PLUS FREE shipping! Versatile Clutches. You can’t find this gorgeous clutch anywhere else! We know you gals will love this best selling clutch. This is the perfect tote! Grab yours today, these won’t last long!